Turning Fierce Dogs Friendly is a user-friendly guide to the Constructional Approach as used with aggressive dogs. 1. What behavior is the animal doing now? 2. What would we like him to do instead? 3. How will we change from what he’s doing now to what we’d like him to do instead? 4. How will we make sure the behavior stays changed? Either constellation of behaviors (and these are just samples. Not all will occur in every dog, and others will occur in some dogs). Some people refer to both sets as distancing behaviors. The reinforcement for fear is to get himself away from an undesirable person or animal. The reinforcement for aggression is to chase an undesirable person or animal away. Both of them have in common the outcome of getting distance in between the dog and the undesirable whatever. What do most owners want the dog to do instead? If you ask them most of them want the dog to stop doing what he’s doing. Stop lunging and biting. Stop hiding and escaping. But these alternatives are vague and don’t let us create an effective training program that gives the dog choices. Do I want him to sit instead of lunging and biting? That’s certainly an option that could work. Maybe we want him to let us pet him instead of trying to run away. That’s true. That is a better choice from most peoples’ points of view. What we found when doing the Constructional Aggression Treatment research was that it worked super well to teach them lots of options. Not just sit and look up at your owner. Not just stand still while some human looms over you and pets you. But instead we would reinforce any acceptable behavior so that the dog would learn that there are MANY things he can do to get relief from the undesirable people or dogs. We put as many tools as we could in the tool kit. And we’d reinforce little bitty bits of behavior at first. For the aggressive dog we would reinforce fewer barks, sitting, looking at the owner or something else, stretching, whatever. For fear we would reinforce looking at the person that was scary, a slight tail wag, a movement of the foot, a curve of the spine. For question #3 what we did was create a contingency… a meaningful connection… between doing more desirable behaviors and having something good happen. The contingency was that since the dog wanted distance between himself and us, every time he did anything the slightest bit less aggressive or more confident, we would walk away. Yep. Just when we got them doing what we wanted and closing the distance a little, we walked away. Weird, eh? We did that because we already know they are getting distance by what they’re already doing. We know that. They growl and people go away. They hide and people can’t get close to them. Distance. So now they’re offering a little closing of the distance, but we don’t want to scare them, so we say, cool, you’re trying, I’ll back off. I get it. I’m going to give you your space. When we gave them exactly what they had already shown us we wanted when they did a slightly better behavior, they gave us MORE of the better behavior! And more. And more. And finally most of the dogs would approach and interact using friendly body language that we had reinforced with distance. And so, now what? We’ve got a dog that loves to be close because he knows it will make people go away. That’s not what we wanted! But something weird happened here. The dogs started actually wanting to hang out with people. Seriously. They would approach people and solicit petting and attention. So how did we keep that behavior without overwhelming them? Yes, we still walked away. We walked away until the dog was specifically choosing closeness. And gradually we started adding in other things like treats, walks, petting, dinner. Yeah. And now we’re at #4. 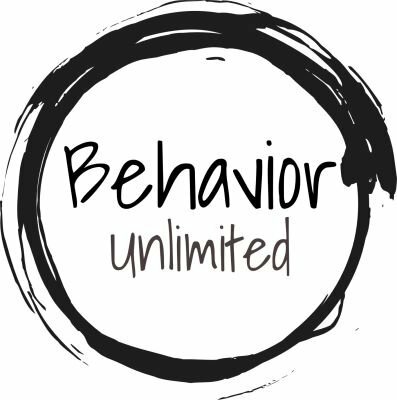 How do we keep the behavior changed? If anything happens that’s scary or a setback is seen in the dog’s behavior, back off and start walking away again. Always be ready to go back to Kindergarten. Always be ready to give the dog a break before it gets too hard to do the new behavior. Always instruct guests and people out in the world on how to behave around him, and make sure they do. And if they don’t, back to Kindergarten. Kindergarten is a safe place. It’s where it was easy to do the right thing. And it’s the foundation where we can review things and try again. This is the short overview of the Constructional Aggression Treatment. There are a lot more details, but this is the gist. Here’s a pretty cool academic document about the Constructional Approach with people in mind as the recipients of the treatment. Click here.